"Max Steel is a 2016 American science fiction action superhero film directed by Stewart Hendler, written by Christopher Yost, and stars Ben Winchell, Josh Brener, Ana Villafañe, Andy García, Maria Bello and Billy Slaughter. 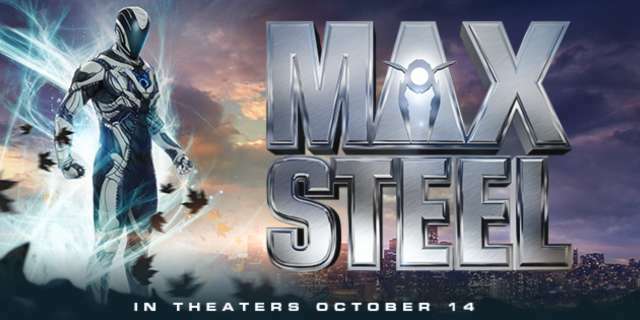 Based on the eponymous toy line by Mattel, the film chronicles the adventures of teenage Max McGrath (Winchell) and alien companion Steel (Brener), who harness and combine their tremendous powers to evolve into the turbo charged superhero Max Steel. Filming began on April 29, 2014, in Wilmington, North Carolina and wrapped in late May 2014. Dolphin Films and Mattel Playground Productions co-produce. The film was released in the United States on October 14, 2016, by Open Road Films and was a critical and commercial failure." 404 not found as always.